Opening reception this Saturday, May 6, from 3-6. 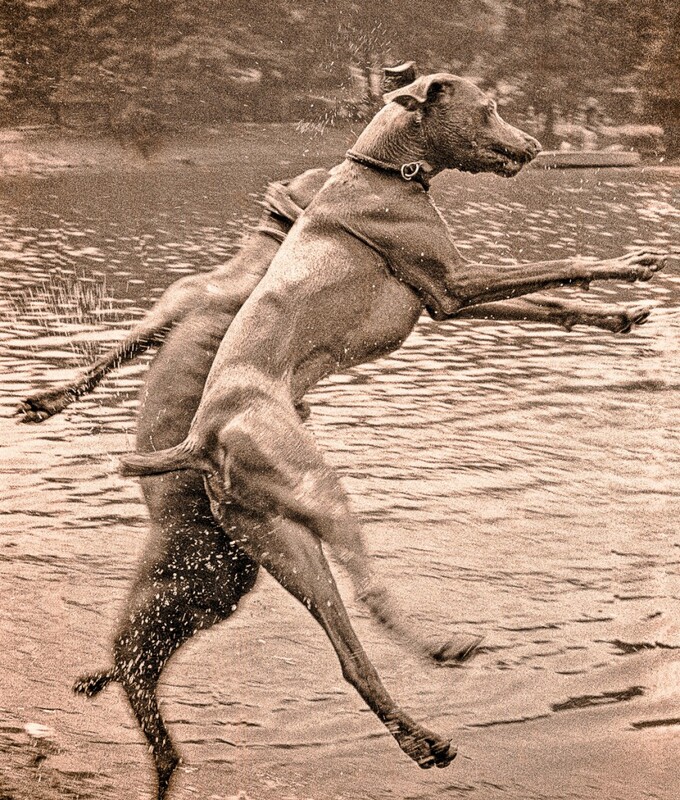 This month, I’ll be showing images of dogs and dancers–in motion! All my life, I have been captivated by great dancers, athletes, bodies in motion, watching muscles moving, and great photographs of sports and performance. When I was in high school, I put up dark corkboard on the wall next to my bed, and covered it with my favorite images from Sports Illustrated. 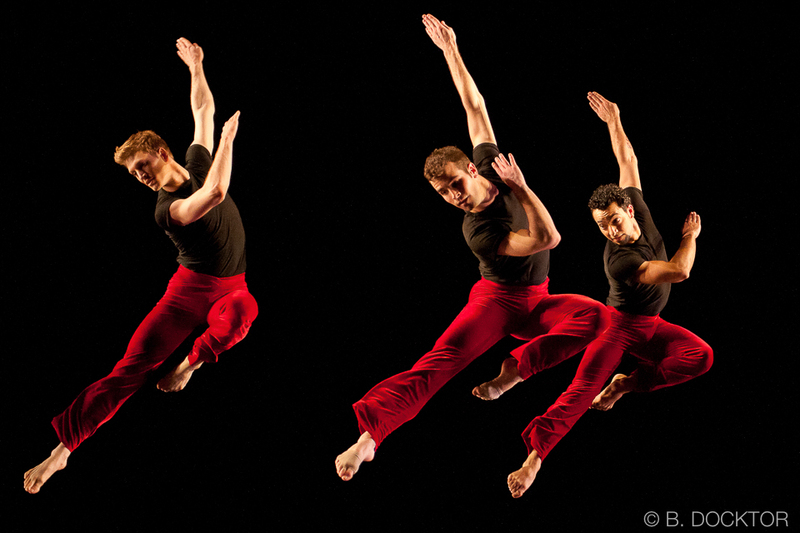 I have had the good fortune to photograph Parsons Dance a few times at The Joyce Theatre in NY, and this image of Eric Bourne, Steve Vaughn, and Miguel Quinones has given me lots of pleasure over the years. In Motion! I just love the challenge of capturing the elusive and most interesting moment. Our featured artist this month is portrait artist, Carl Grauer. 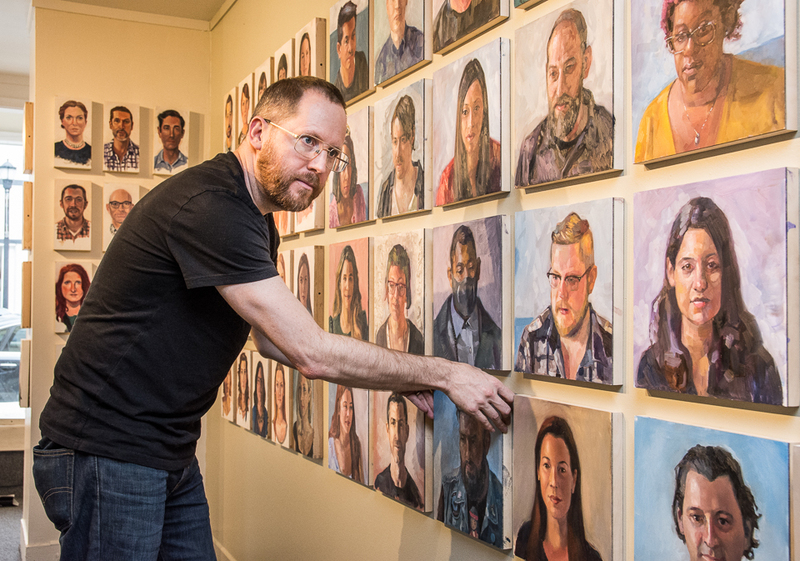 He has filled his space with his 2-hour portraits, and it looks amazing! At the opening, Carl will be doing a portrait in our window space. It will be a fun afternoon–hope you can come! Because I love capturing “the essential moment,” dog photography is one of my favorite kinds of work. 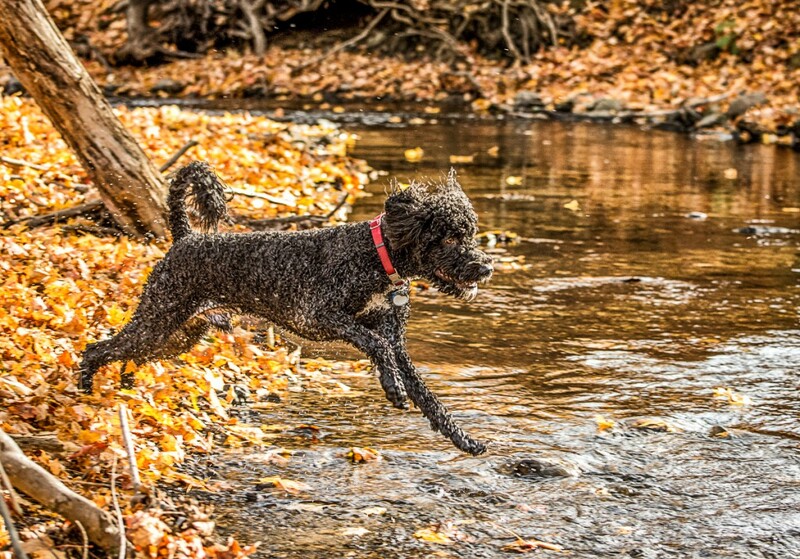 Movement, expression, humor, love–dogs have it all. Here’s a link to a new short video piece with some of my beloved characters. Below are two photos that won awards from the New York Press Association, published by The Columbia Paper in 2016. Note the theme? I love to capture movement! 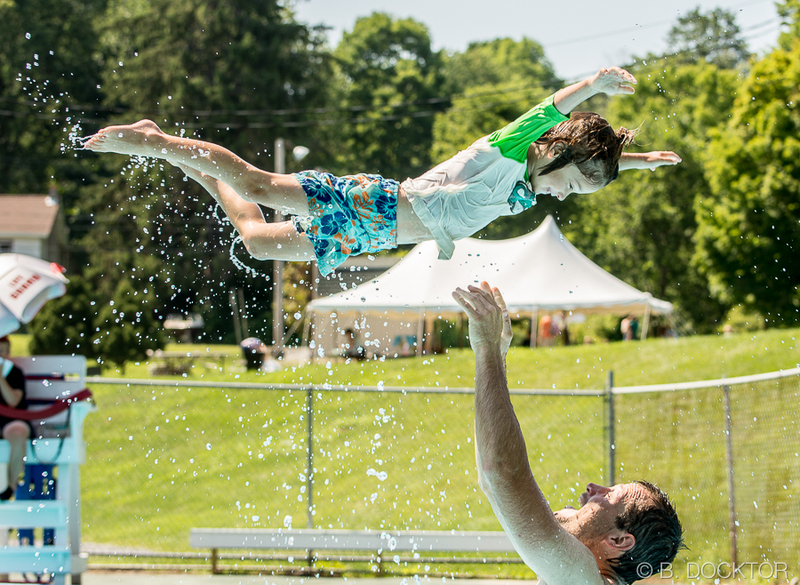 Award-winning photographer B. Docktor photographs people, pets, family portraits and more, in the Hudson Valley, Berkshires, NY, and NJ. 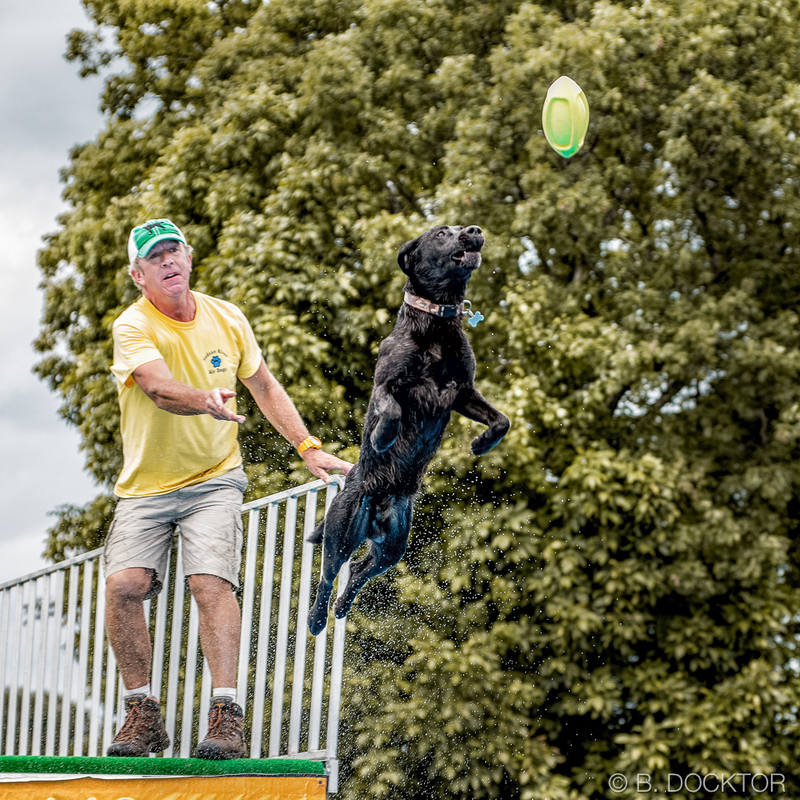 To capture the love, the action, the beauty and spirit of the people and animals and events that matter to you, call B. Docktor at 518-329-6239.